When I was in high school I journaled. I kept three ring binders full of loose leaf paper. It worked well for me because I could write in class when the inspiration hit me, and then transfer it to my journal notebook. I also saved some notes from friends. Somewhere in a storage bin are three 3" binders full of my early teen years. Page after page of teen angst and drama. Some wrinkled by now dried tears. Some full of hope and color. More full of depression and questions. When I was sixteen, I was in a dollar store and saw some journals. I picked one out. It was pale blue and had a sewn binding. The paper was lined and there were flowers printed on some of the pages. Halfway through that journal, I was tired of it. The pale blue depressed me. The flowers on the pages posed a problem.....write over them, or skip past them.....it felt bulky to write in, and my words did not flow. When I had filled all the pages, I set it on my bookshelf. On the bottom shelf behind little doors, next to my three ring binder journals. I went to the Barnes and Noble to visit their journal section. That day I probably spent half an hour looking at each journal. I picked them up, felt the weight, inspected the look and feel of the pages. I rubbed my hands over the outside covers. I thought about spiral bindings. I noted which ones had annoying pictures on the pages, or inspirational quotes. I thought about lined pages, blank pages, graph pages. Several people stopped by the aisle, picked out journals, and left. I was still there. Looking for just the right one. I finally settled on one. It was spiral bound. A hard cover that looked like it had been attacked by watercolors in shades of grey and green...with the occasional hint of silver. The pages were heavy weight, but not too heavy. They were lined, but no pictures or quotes. I took it home and the words flowed. I had found my space. That journal was followed by a purple one with butterflies. By the time I had moved onto the orange one with flowers on the cover, it was the place where I wrote my thoughts, and wrote prayers, and took sermon notes. I even kept the occasional note or memento in those journals, carefully taping them in place. There was another blue journal, it was not spiral and the margins of the lines were not quite right. I made it to the end of it, but I noticed that the words did not flow as well in that place where I was not completely comfortable. I returned to my former style of journal, this time with a cork cover that had tiny, dark blue, sparkley flakes. The words flowed. The prayers. The notes. The pages filled. Dark blue with flowers followed. I packed many things away and all my journals went together in a storage bin. I meant to buy a new journal, but never did. Several years passed. The need to write would come over me and I would stuff it down. Occasionally I would find myself in the journal section of the bookstore, and realize that without meaning to, I was looking for just the right journal. I couldn't find it. The urge to write was still there, but I had silenced the voice of that urge so much that I hardly heard it anymore. I started blogging again. As the words flowed through the keyboard, that voice inside me that calls out to write returned. I typed more and more, but the voice was not silenced. I found myself writing on scraps of paper. Then in a composition book. The words were there, but they did not flow. I knew what I needed. A journal. Just the right size and weight, with lined paper that is not too thick or too thin. A hard cover to support my writing and hold in all my words. Typing is good...but there is something about holding a pen (preferably just the right kind of pen) in my hand and letting the words flow through it, onto the paper. To carry it with me, and pull it out for short thoughts and long rants. To pour out prayers and hope and fears. Doodle in the margins when the words are stubborn, and see the letters that grow bigger and bigger the faster they come out. To leave a small bit of myself on a page. That is why I have to use the very right one, because it will eventually hold a piece of me. The worst and the best of me are contained in those pages. The hope and color. And sometimes, the slightly wrinkled pages that were touched by my tears. I journal to give space to my soul. Do you keep a journal? Are you picky about where or how you write? I love to journal. Like you said there are ones that work and ones that don't ..I am a notebook and ink pen fanatic. As my nephews wife calls them pengasms and journalgasms. Something about how the ink flows on the perfect page can simply kick my thoughts into overdrive. They are mine and I hoard them from the children, who take things.. and now I am gonna have to write me a whole dang post Thanks Tracie.. I loved to journal, loved picking just the right place for those scattered bits of my soul I wanted to gather. It was my way of working through life. When I was 17/18, a mean aunt broke into my space and raided them. She took my words, twisted them and took them out of context, spreading malicious rumors. It took me years to get over that violation. Now I use a password protected, digital diary. It doesn't feel the same but there's no way I want to relieve the trauma of someone snooping into my head. After all, the world is so crowded, every thing we say/do is analyzed and our bodies probed/x-rayed. The only real privacy we have is what's inside our thoughts! I just found you from a comment you left on sits.. you have given me some inspirations.. to write a post about my journaling... I too have done it thru highschool.. and had a bit of depression.. in a few... I like the way your write.. I love love your Header.... wish I knew how to do it.. a friend did mine.. and I like yours better. I am your newest follower.. I used to use pen and paper, but it's mostly online now. But, there are somethings that I need to write instead of type. I get it. Picking out the right journal or notebook takes me AGES. If it's not right I won't write. I've kept probably about four or five journals in my life. A few years ago I found three of them in an old box. I started reading, and I was mortified so I destroyed them. Now I wish I hadn't. It was who I was at that time, but I guess I just wasn't ready to face the old me. I can empathize completely with this post. I kept journals myself in high school, and throughout college. All different styles and sizes and shapes and colors. But when I got married, the time and inclination to write slipped from my grasp. I've only recently started blogging and journaling again, and it feels like a homecoming for me. I kept a journal for a long time, but I write in plain composition books. I have nice journals but cannot use them. They are too nice for my words. It makes me rather sad, really, that I feel that way. I love having just the right book to write my thoughts in. I don't write in one as often as I used to. It is great to look back and read my old journals. You know I used to journal but after my parents read mine back when I was young I physically can't journal in handwriting anymore. The only way I can write anything is to type it out. Weird, I know. I adore this, first of all. Your writing is so lovely. What a gift to see yourself unfold and blossom through the pages, through the years. Me? I can't journal. It all sounds like lyrics from a Smiths album. I need to audience to the blog to write with any finesses, instead of just whining. Interesting that I can't write well just for myself. There's a therapy question for you right there. Popped in from SITS! Writing in my journal every morning really helps keep my head clear. I'm envious. I've ALWAYS wanted to keep a journal. Sadly, I just can't get the inspiration to write for myself alone. Plus, I'm SO much slower writing than typing that it just feels like an eternity before I can get my thoughts out. I write online. I had a journal once and my MOM read it against my permission and I never forgot it. To this day, I hate people to read anything I write with pen to paper, even my grocery list. I've never been a journaler, BUT I do prefer to write things down with a pen as opposed to typing them out. Lists, taking notes, even at Blissdom I brought a journal instead of my laptop. I love journals. I reserve the pretty ones for my trips to India or something of equal importance to me. I have about 5 - 6 large 5 Subject notebooks that I have around the house and one always goes on trips with me when I might find myself with a few minutes to spare to write my thoughts on. Like you, I prefer the feel of a pen in my hand to typewriter keys when the words are flowing through my mind. Today, I write what is really on my mind on those journal pages. As a child, I wrote about school or the weather or what I watched on TV, nothing of major importance to me because I was afraid someone would find it and read my secrets which were too painful to share with anyone. I was afraid if you found out who I really was that you would hate me. Not today. Today I write about what is important to me, what is challenging me for the day, my hurt, my anger, my triumphs. Somewhere in the basement, there is a box with several spiral bound notebooks. I haven't thought about them in years. I have one upstairs. I've written in it off and on for 20 years. Never filling that last one. Sometimes I catch myself pacing. And I know I need to write. Nothing special. Nothing profound. Just write. Maybe? It's time to read. I kept diaries when I was a child that I soon learned were being read. So they became a place to lie about how fabulous everything was. I wrote a journal for school once that was to be submitted to the teacher. That did not go well. I have written other things by hand, but mostly notes and scribbles. I have little faith in the secrecy of handwritten words. 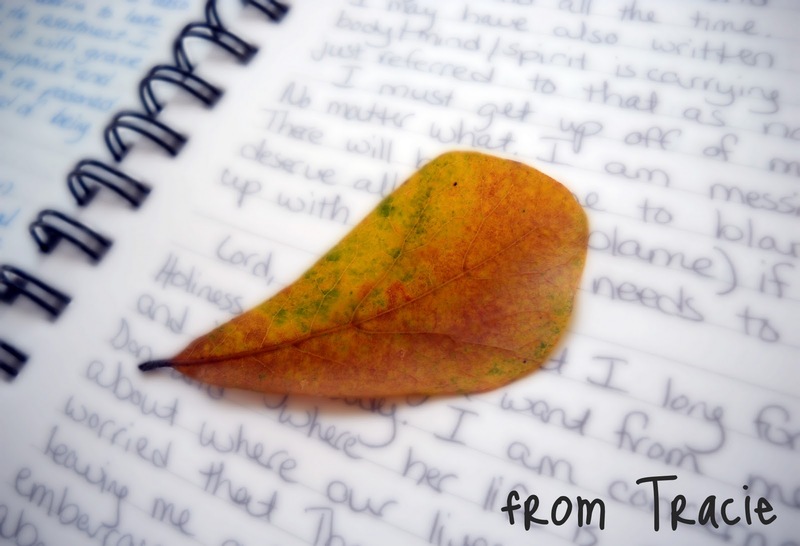 My journaling is on-line now. Where I decide the level of confidence I am willing to invite. And quite honestly? I do not write things I am not willing to share. If I write it down? I need someone to read it. I need to take control. So all of my secrets are in my head. I've been journalling on and off since I was a teenager, too .. but particularly over the last 8 years or so. Lol, I'm just like you - it has to be the RIGHT journal - the perfect one, or else the words just don't flow. A few times I've bought one just because I couldn't find the right one, written in it a few times, and then just given up till I can find something different, better. Seems like a waste not to fill those pages, but it's like something in me just says NO!! It also has to be just the right pen. Seriously fine nib, preferably a fountain pen but sometimes I go with coloured fineliners depending on the mood I'm in. I doodle in my journals too - time consuming habit, lol. Now that I'm safe away from my husband, (I had to hide them when I was married) I display all my journals on a bookshelf in my bedroom, and looking at their pretty spines, it does feel like a piece of me. I thought that I was the only one who toiled over which journal to buy. I remember going to Chapters with my husband and he was all "Just pick one will ya! You're just going to scribble over the pages anyways! "...non journal writers just don't understand! I love this post so much I don't even know what to say. It's how I feel about my "notebooks." They're not necessarily journals, but even my grocery lists have to be on the right paper or I can't shop. Wow. Maybe I need to write about this. Thank you for sharing. This is a wonderful post. I have kept journals off and on for years. Never with any kind of regularity. Maybe I just haven't taken the time to find the right one. Maybe that's something I need to do. Maybe... I will. I write in my journal most days. As I read about journalling, I realize that it's different for everyone. I write and write, pour out stream of consciousness stuff. My handwriting is scruffy, my notebook just one I picked up at CVS. Others, I know, like you, are far more careful and thoughtful about what you write. I think that is so interesting. Same task but completely different purposes, I suspect, and outcomes. I completely understand the need to have the perfect journal! How lucky that you have all of those journal entries from high school! Have you ever discarded journals? A few years ago, I decided to get rid of the journals I had filled when The Mister and I were coming apart at the seams. We survived that rough patch and have thrived as a result of that rough patch but I decided I didn't want the energy of those words of confusion and anguish and anger in our lifespace anymore. It felt like a betrayal of all of the work we had done to become whole again. One day while he was at work, I ritually released those journals and burned them. I still journal and my favorite thing to use is just a basic composition book. For my blogging ideas journal, I use a regular old single-subject spiral notebook. These notebooks don't feel so precious and it gives me the freedom to explore and not be perfect.